Annual race from St Magnus Cathedral in Kirkwall's town centre up Kirkwall's highest hill and back. NOTE CHANGE OF EVENT DATE FROM THAT PREVIOUSLY ADVERTISED Start/Finish: Kirkwall Town Hall, Broad Street Start Time: 7.00pm Entry: ON THE DAY ONLY Entry Arrangements: Entry / Registration from 6.30pm at the Kirkwall Town Hall Entry Fee: FREE Route: Covers a mix of road and hill running terrain. A half marathon event on the island of Rousay, organised by the Rousay, Egilsay and Wyre Development Trust. Run, Walk or Cycle your way around the island - a great day out for all the family. A 12 mile walk/run event which takes place on the island of Westray - in addition to the 12 mile walk/run there's also a 3 mile and 1 mile option and the event is rounded off with a buffet dance at night. A great event for all the family. For more event information and entry details see the Bisgeos 12 Mile Run/Walk Facebook page. The third and final home competition of the season - open to all athletes (non-OAC members welcomed) from age 9+ (more information to follow). A new event for 2018 - the Harray Half Marathon. Further detail to follow soon. 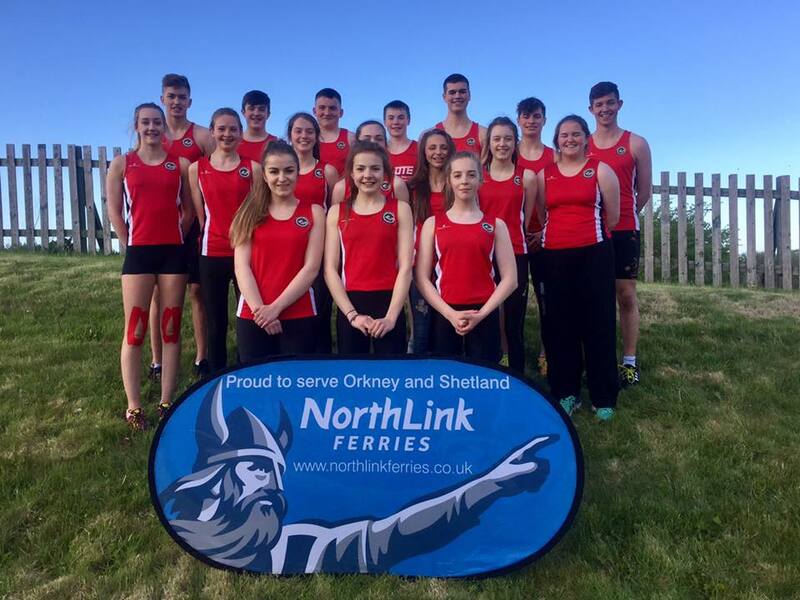 Open Track and Field competition held in Inverness - for more detail - see Club Competition Guide - available via the Competition Tab.